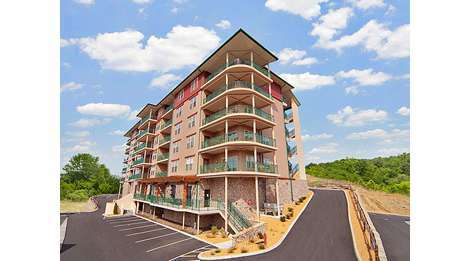 Rocky Top Condos has luxurious two bedrooms half a mile from the Parkway. The non-smoking units include two King beds and sleeper sofa, allowing room for 6 to sleep. The condos feature beautiful mountain views from balconies, fireplaces, full kitchens with granite counter tops, large master baths with walk-in shower, jacuzzis, and double vanity. Rocky Top Condos also has indoor and outdoor pools, a fitness center, and game room to enjoy.